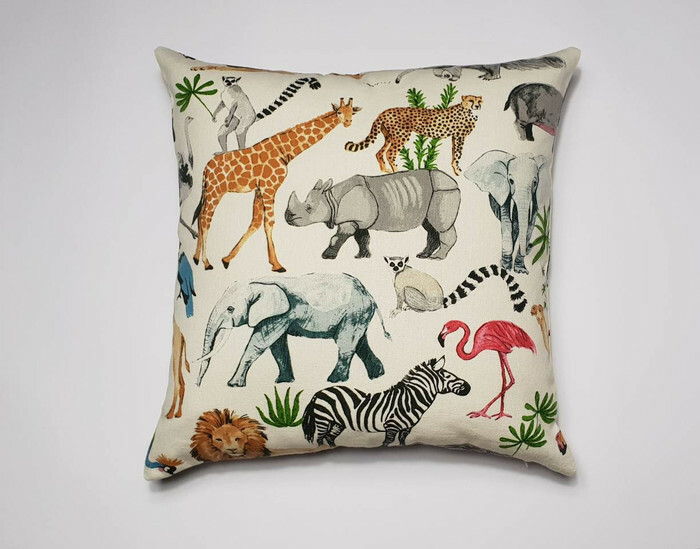 Safari animal print cushion cover, safari cover, animal cushion, cushion cover, 18inch cover, wild animals, safari decor, animal decor. 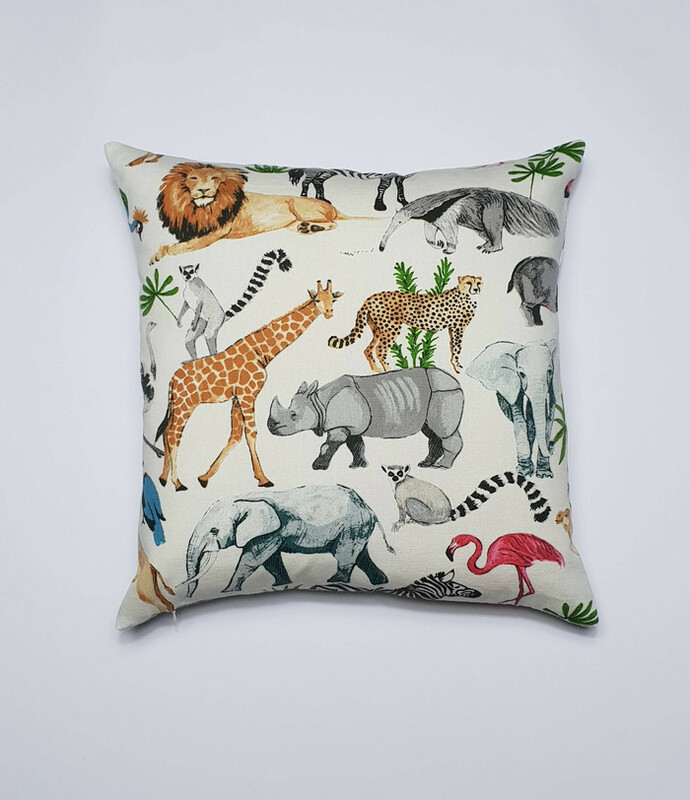 Animal safari print cushion cover, 18 inch (45x45cm). The cover has an invisible zipper at the base for inserting a cushion insert which is NOT included. For more decor items please visit my store.